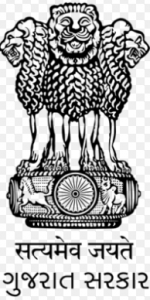 Gujarat (Commissionerate of Tribal Development) (CTD) Recruitment 2019: Gujarat (Commissionerate of Tribal Development) has recently publish an advertisement notification for Vidhya Sahayak Posts vacancies jobs opening for December 2019. The CTD notification for the Vidhya Sahayak Posts, candidates who are interested may apply in the prescribed application format on or before 10-01-2019. The total vacancies in Gujarat (Commissionerate of Tribal Development) (CTD) Vidhya Sahayak post details are given below. Starting Date to Apply Online Application Form: 17-12-2019. Last Date for Submission of Application: 10-01-2019. The minimum educational qualification for CTD Recruitment 2019 for the Vidhya Sahayak posts is given below. Candidates should possess Full-time graduation (Candidates shoud have done Graduation Degree or its equivalent qualification from a recognized university. For Post Wise Qualification Go To Detailed Advt.. (Please check full details in the advertisement). There is not Application Fees.